Most grasshoppers mate in the fall, lay eggs and die. Their eggs are deposited in the soil, in a cluster held together by a frothy secretion that, when dry, forms a rigid covering. The eggs and secretion are known as an egg pod. The egg pods of grasshoppers vary not only in the number of eggs they contain but also in their size, shape, and structure. A pod can contain from 4 to more than 100 eggs, depending on the species of grasshopper. Grasshopper eggs vary in size, color, and shell sculpturing. Depending on the species eggs range from 1/10th to ½ an inch long and may be white, yellow, olive, tan, brownish red, or dark brown. It’s that time of year again, when grasshoppers are courting, mating and laying eggs that will overwinter and hatch next spring. In addition to adopting different poses and flashing brightly-colored wings, male grasshoppers attract females by producing calling songs. (Some females also produce sounds, but they are usually infrequent and very soft.) The males rub their hind femur against a forewing, or rub a forewing against a hind wing in order to make their calls, a process called stridulation. Tympana, or eardrum-like structures on their abdomen, allow both male and female grasshoppers to hear. Because the songs are species-specific, females can readily identify males of the same species. 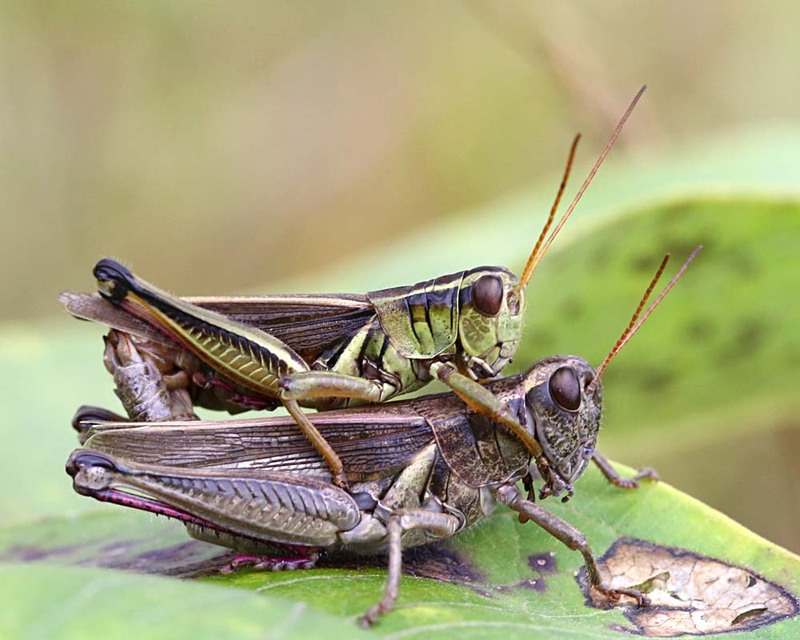 After pairing up, the smaller male grasshopper usually mounts the female and the female curls her abdomen up to reach the male’s reproductive organ (aedeagus) from which she receives a package of sperm called a spermatophore. The mating process can take from 45 minutes to more than a day, depending on the species. The small, pointed structures that you see at the tip of the female’s abdomen are her ovipositors, with which she deposits her eggs in the ground. The Great Golden Digger Wasp, Sphex ichneumoneus, is a solitary, predatory wasp whose hunting and nesting techniques are programmed and never vary. Having overwintered underground in a nest dug by its mother, the adult wasp emerges, often in August, and begins preparations for the next generation. She digs several nests in packed, sandy soil, using her mandibles to cut the earth. Emerging backwards from the ground with a lump of soil between her forelegs and head, she flips the soil with her forelegs beneath her body, scattering it to the sides with her hind legs. In this manner she excavates several cells off a central 4-6-inch deep tunnel. 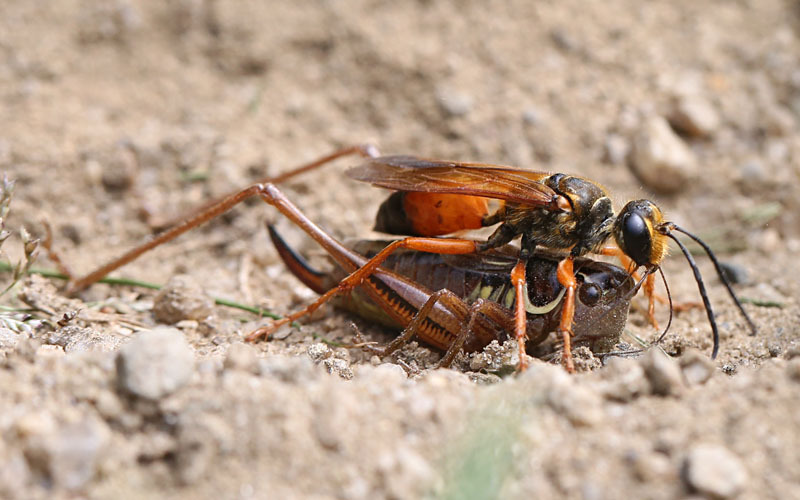 The wasp seeks out prey — often a grasshopper, cicada or cricket – and then stings and paralyzes it. If the prey is small, she flies it directly to the nest. If prey is too large to transport aerially, the wasp will walk with it across the ground, dragging it by its antennae (see photo). She then drops the prey several inches from the nest hole. After crawling down into the nest for a brief inspection, she pulls the prey down into one of the cells while walking backwards. She then leaves to find another insect. When a cell contains paralyzed prey, the wasp lays an egg on the insect. The egg hatches within two or three days and the wasp larva begins eating the insect. 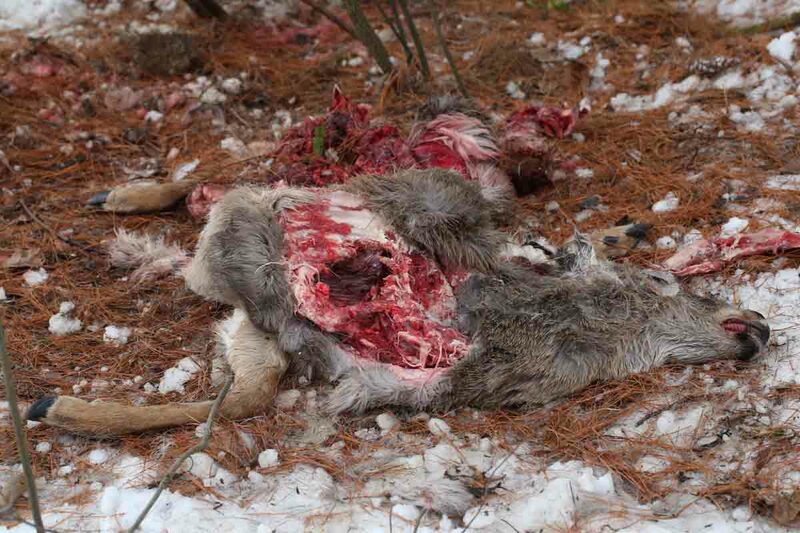 Because the prey is not dead, decomposition is delayed, and the wasp larva’s food is relatively fresh. The developing wasps overwinter in the nest and emerge the following summer to begin the process all over again. Grasshoppers typically mate in late summer and fall. If it’s a short-horned grasshopper (pictured), the smaller male mounts the female (female long-horned grasshoppers mount the males). 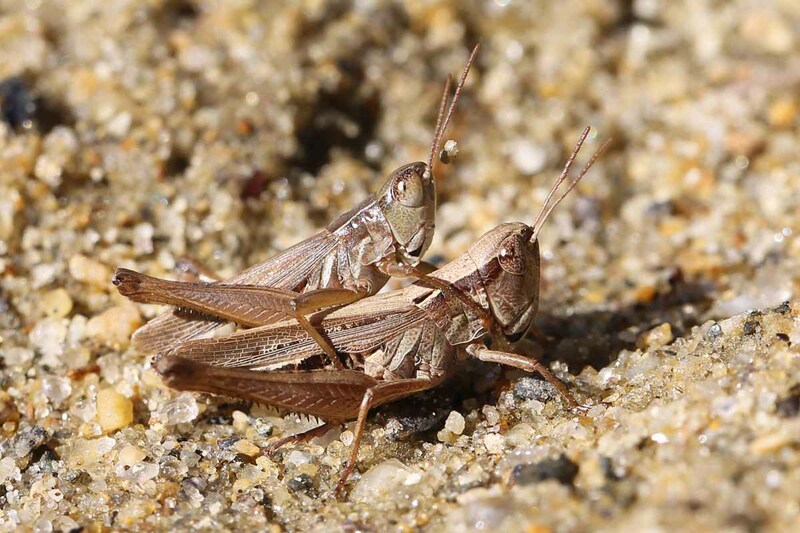 The male short-horned grasshopper often remains riding the female for long periods in order to ensure paternity. When the eggs are fully formed, the female pushes the ovipositor at the end of her abdomen ½” to 2” into the ground and produces a glue-like secretion that cements the soil around the egg mass, forming a protective “pod.” Each pod may contain 25 to 150 eggs, depending on the species of grasshopper. Grasshoppers which deposit masses containing few eggs usually lay more pods to compensate. A female may lay as many as 300 eggs which overwinter and hatch in the spring.